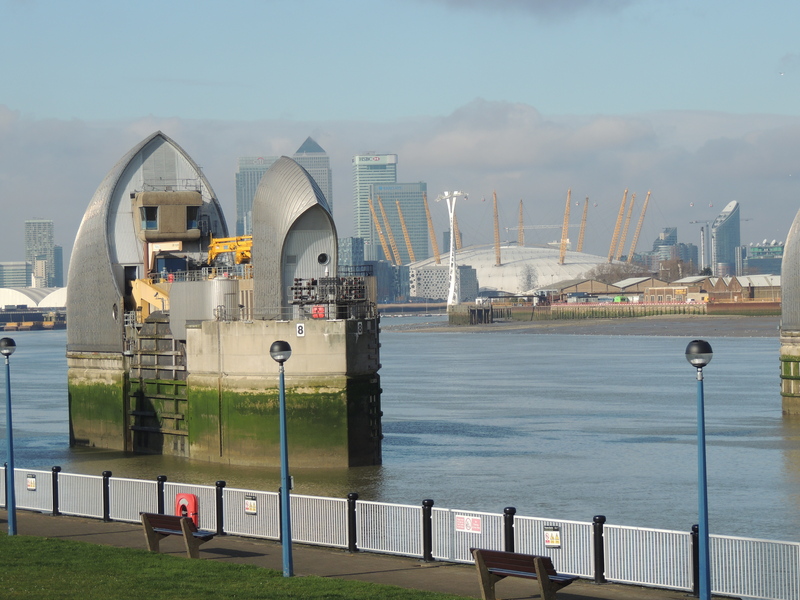 « The London Coffee Festival…..
Thames Barrier – keeping water out of London! 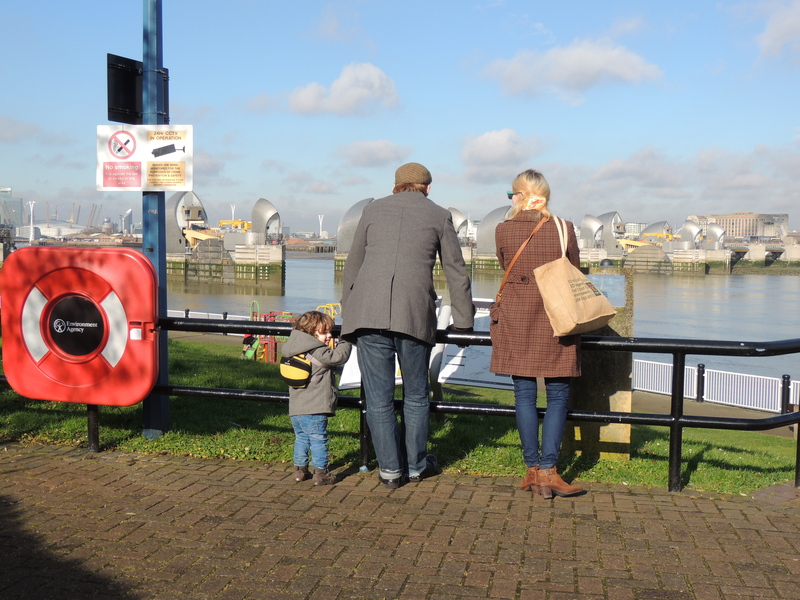 In February we took a trip down to London for our daughters birthday and as always, we never pass up the opportunity to visit somewhere new; this time round it was Greenwich and the Thames Barrier. If you don’t already know, this landmark is what protects the city from the high tides of the Thames River. It is a beautiful piece of engineering and I can highly recommend a visit to it when you are in the area. There is also a walk all the way along the Thames from the barrier through the city which in nice weather I would definitely try – it is a long but very interesting walk and if you want to do this yourself make sure you go onto the Thames Barrier website to check the maintenance times because when they are running tests the entrance gate to the pathway (at this point) are closed for a few hours. 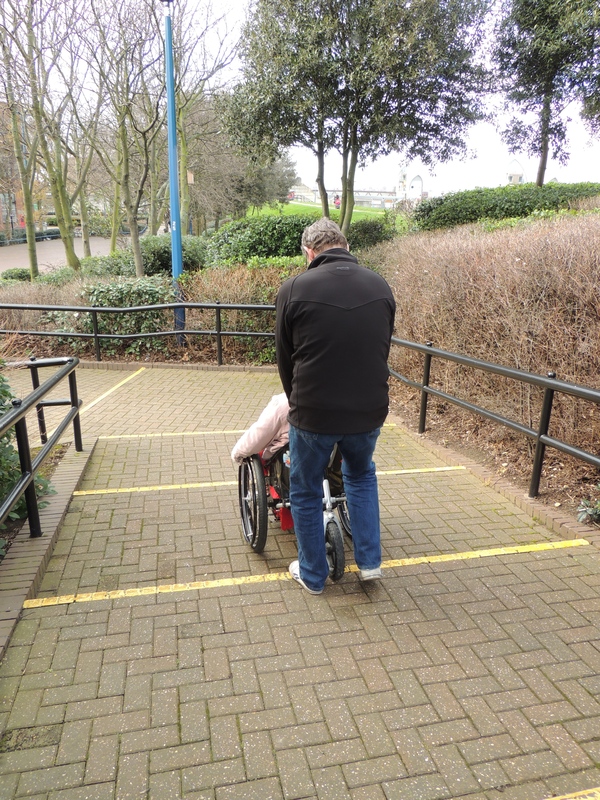 I doubt if this is wheelchair friendly all the way, but I would love to give it a try one day. We went on a day that the tea room and visitor centre is usually closed but was open because of the school holidays. They serve a good cup of tea and a small selection of snacks and you can see some footage of the building of the barrier which I found very interesting. 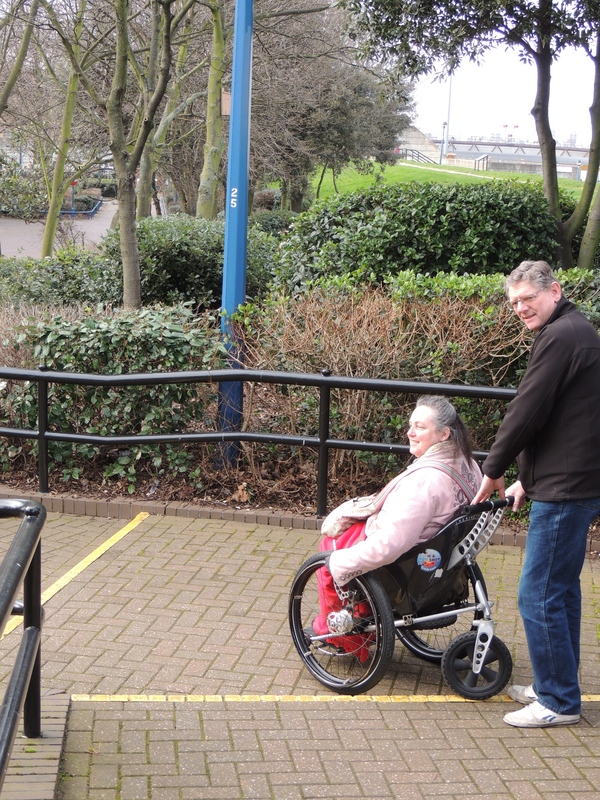 Our challenge for the day was finding the elevator out of operation but I am fortunate to have a Trekinetic K2 and the flight of low stairs was a breeze with help from hubby. I would suggest if you cannot negotiate stairs then you ring ahead to make sure the lift/elevator is operating. 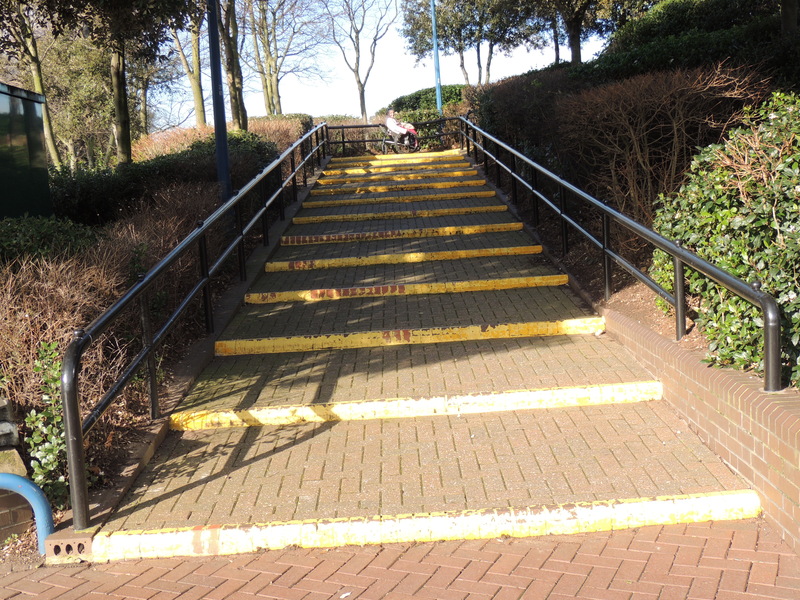 You will also find a flight of stairs down to the walkway – this is apparently because they cannot have a slope as this area would be susceptible to flooding if the river rose too high. 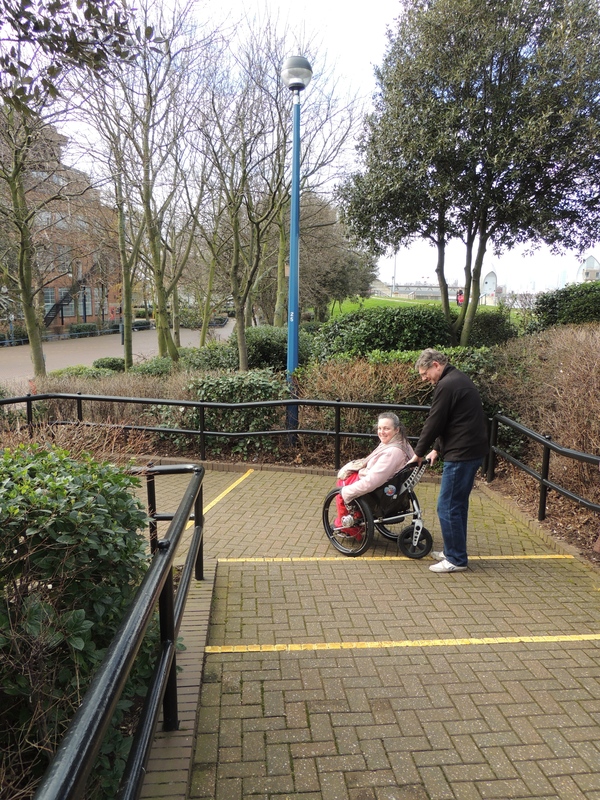 You can however wheel along the top path and still get amazing views of the river and the city. This is a great place to get really interesting photographs and we had a thoroughly good morning out. Be warned it can be very chilly down by the river so I would suggest wrapping up warmly.